These interlocking building blocks are the cornerstone of our system. 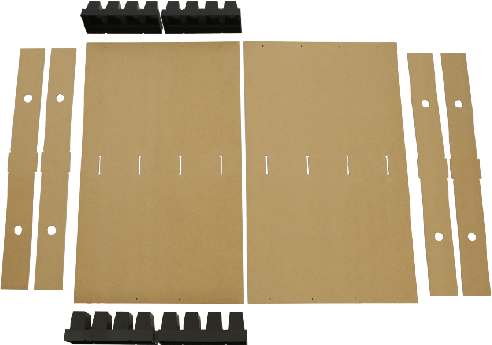 EmagiBlock® are available in standard 41” high x 1ft, 2ft, and 3ft wide and 4.5” depth as well as custom designed-to-order sizes. EmagiBlock® was developed using high-tech engineering and provides a stable, smooth finish for creating solid, stunning structures, with 20 times the longevity of traditional materials and methods. Start building today! 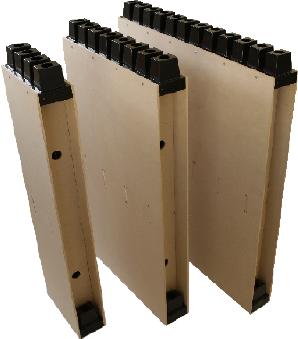 Each EmagiBlock® features top and bottom reversible ConnectorBlocks made of tough, impact resistant ABS plastic. Easily assembled, all you need is a cordless drill. Each block can support hanging weights in excess of 150lbs.